Over the last few months, I have sent several pieces of correspondence to my Member of Parliament, Mr. David Anderson (Cypress Hills-Grasslands) criticizing Conservative Government plans to remove all meaningful marketing power from the Canadian Wheat Board (CWB). Today, he responds. He restates his government’s election promise and their commitment that farmers have the freedom to transport and market their grain to any facility of their choosing. Could this be true, or is this another example of Mr. Anderson’s dishonesty? It would not be a first for Mr. Anderson when criticizing the CWB. Not surprisingly he provides no hard facts to back up his assertions. But, let’s take a look at a few of his claims. Transportation costs – So, why would transportation costs be less if there was no CWB? 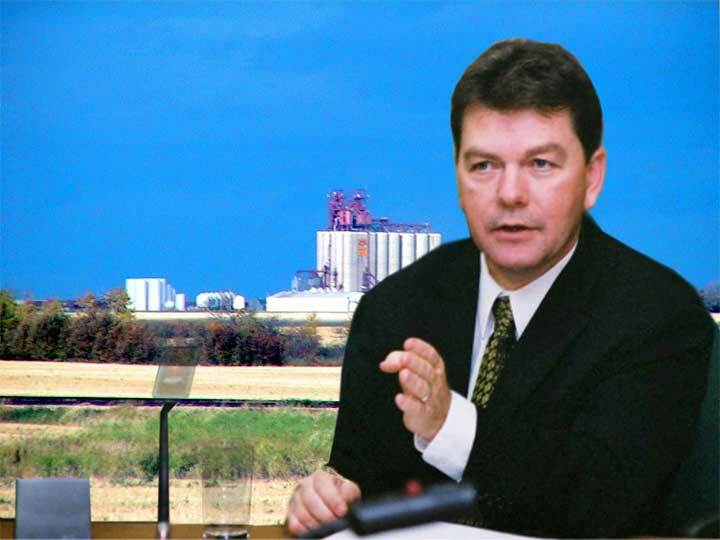 It is not the CWB that sets freight rates, nor is it responsible for ripping up branch lines and destroying many community grain handling facilities. So please Mr. Anderson provide some background to back up this statement, if you have any. Administration costs – It is no secret what the CWB spends on administration. Is he suggesting the private trade does not spend on administration? But, how does Mr. Anderson know? The private trade does not release such expenditures to the public. My guess is he doesn’t know, that’s why no data is forthcoming. Protein and grade give-aways – I am not sure what Mr. Anderson means with this claim. I do know the CWB does terminal blending to improve grades for farmers. I am not aware the CWB is doing anything to get a lower grade. But, let me guess. Some years due to weather conditions, some very poor quality grain is produced. This grain may still have some protein in it and if it is sold for feed, could that be considered a protein and grade give-away? I leave it to the farm readers to figure this one out. Production inefficiencies – I know the CWB is not in the production end of grain growing. I am baffled by what part of production could be blamed on the CWB. In my neck of the woods, farmers do all the production. When over the last 20-25 years farmers have more than doubled the amount of product they send to market, that does not look like inefficiency to me. If there is any inefficiency in this production method, it is the reduced financial returns farmers are getting. Lost opportunity costs – I expect in this Anderson means, if farmers had foresight like he (Anderson) has hindsight, they could make a killing growing grain and selling it on the open market. If farmers had that kind of foresight, why bother growing grain, just play the market. I would suggest to Mr. Anderson, farmers are plenty smart enough to recognize a snow job when they see one.